Our readers are probably aware by now that Helen Thomas, the “dean” of the White House press corps, made a statement last week that Israelis should “get the hell out” of Palestine and go back to places like Germany and Poland – and in so doing caused not a small stir. 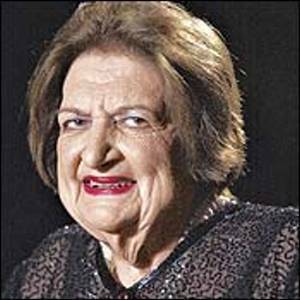 WASHINGTON, June 7, 2010 – Helen Thomas announced Monday that she is retiring, effective immediately. Her decision came after her controversial comments about Israel and the Palestinians were captured on videotape and widely disseminated on the Internet. Anybody who will miss Helen Thomas, who has been a blight on the Washington media scene for decades and passed the laughable stage in the Reagan era, is a loon. It’s long past time she was put to pasture.